I have nothing but goodwill toward the craftsmen in the Czech Republic and their ingenuity inventing the Czech too. I used a Czech tool for many, many years and I still have a few stowed in my pipe racks for emergency. That said, I prefer the pipe knife as my go-to, handy assistant when I work my way through a bowl of tobacco. Why? My father taught me that when you have the right tool for the right job, everything goes easily. In my humble opinion, the pipe knife is the better tool. What separates the Czech tool from the pipe knife is the substitution of a real (dull) blade for the dottle spoon. The pipe knife's blade does everything the dottle spoons does, but the dottle spoon can't give me a good quick ream of the bowl after a smoke. The dottle spoon is nice, don't get me wrong, but it's just too dull. It's a spoon. I sharpen the blade of my pipe knife occasionally. It's stainless steel so it never gets too sharp, but I get it sharp enough to cut through the loose cake----to get the bowl's cake that optimal dime's width. I wouldn't bring my pipe knife to a fight. I'd get laughed off the field. "You call that a knife?" I will bring my pipe knife to my desk every day. When it gets a little dull on it's scraping edge, I hone it, with the same stone I use for my pocket knife; just enough to gently scape away the tar and solidified ash. Who sharpens a spoon? It's a contradiction in terms. I don't have a fancy pipe knife, though I would love to have one. Mine is a bare-boned affair that cost me about 9 bucks. About triple or quadruple what a Czech tool costs, but an investment well made in my opinion. Whenever I misplaces my Czech tools, I wouldn't worry about it much. I had alternatives. If I ever lost my pipe knife, I'd have to buy a new one ASAP. That's the difference between a tool you like and a tool you rely on. YMMV. 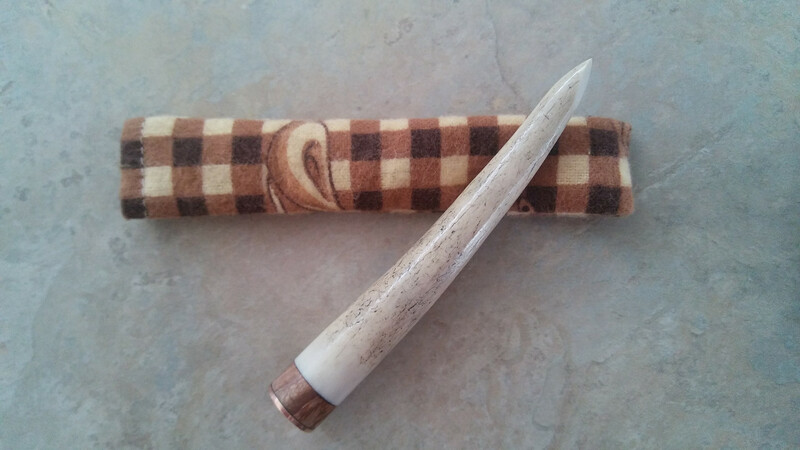 What pipe knife do you use? 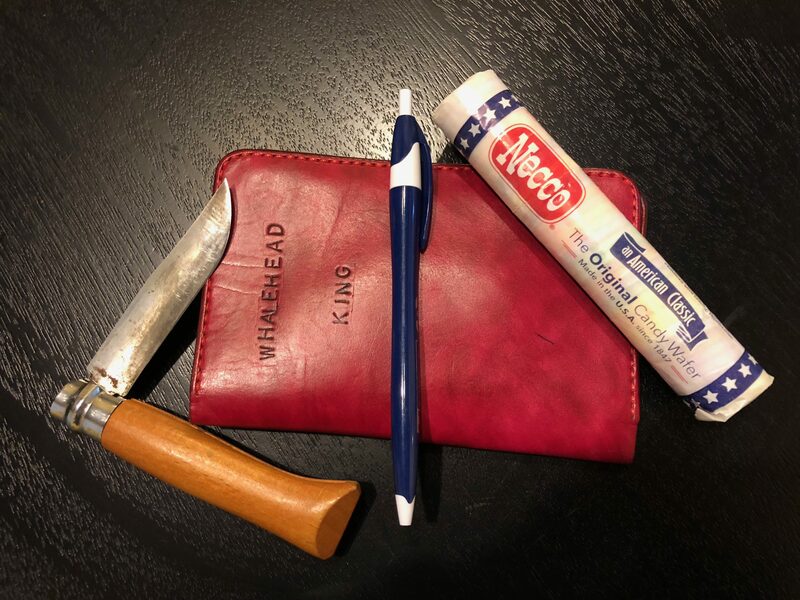 I assume it's not the opinel in the photo as there is no spike or tamper on it. Nice upgrade without adding bulk. I used a Czech tool since the early 90s. In fact it was and still is my original that came with my tinderbox pipe set. A few years ago I acquired a pipe nail and loved the simplicity. Then ncrobb made me this. It's all I use. I keep cake to minimum with a paper towel wipe every few bowls so I haven't seen a need for the knife. Yet. Yep, my favorite tool--the Rodgers Sheffeild. Keep it with me always for all the reasons stated above. I do have a few Czech tools scattered around the house just so I don't have reach into my pocket so often for a quick tamp. 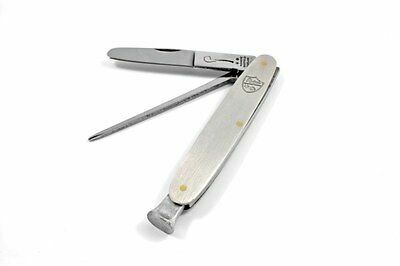 My pipe knife is basically this knife but without any crest. It's got a pipe inscribed at the base of the blade on either side of the blade where it meets the handle. On one side it says, "Mitchell Thomas." I assume that's the brand. I've had it for about 4 years, which is a record for me keeping anything without losing it---except for my wife. Wow, glad you like it! I primarily use a Czech tool, or a golf tee. But I have always wanted to purchase a pipe knife.